In case you would like to get to know Krista and Glen a little better, here are some responses to questions. - GLEN: I was born in Toronto, the largest city in Canada. When I was eight years old, my family moved to Winnipeg, the capital city of the province of Manitoba. - KRISTA: I grew up in Toronto, Canada. And then I went to university in Colorado and Florida, USA. - GLEN: I am fifty-five years old, but I try to behave as though I were ten years old. - KRISTA: I am 42 years old. 3. Were you good at school? - GLEN: I was quite good at most of my subjects, but any success I had in school came from working very hard. - KRISTA: At school, I always enjoyed biology and sports. I found some subjects hard, but once I got to university I found I was very good at sciences and at veterinary subjects. 4. What is your job? Is it fun? - GLEN: I have two jobs. First, I am a university scientist, specializing in the study of birds. That job is so amazingly fun that I cannot understand why anyone would want to do anything else with their life. Second, I write books about travel and nature. Who wouldn’t have fun travelling all over the world to see exotic wildlife, and then telling others about these adventures in books? - KRISTA: I am a veterinarian and I specialize in surgery on dogs and cats. Many of my days involve fixing broken bones, repairing injured knee joints and removing stuck toys from intestinal tracts. It is a lot of fun because my job is different every day and my animal patients get better and go home to their families. 5. How did you meet each other? - KRISTA: I ran into Glen in a book store. Rather, I ran into one of Glen’s books in a book store. I love ducks, and Glen was smart enough to put a big picture of a duck on the front of his book. 6. Why do you want to paddle the River Thames? - GLEN: I have been all over the world, but I feel a very special connection to Great Britain. My older brother, parents, grandparents, great-grandparents… were all born in England. Even though I was born in Canada, I feel that my British family history has helped to shape me. When Krista and I first spoke about outdoor adventures that we could share, paddling down the greatest river in the Britain seemed like a really exciting opportunity. - KRISTA: I want to paddle the Thames because is the longest river in the England and has so much history and wonderful nature. And because few things are more fun than a multi-day adventure in a boat! 7. What is the best / most exciting thing about paddling a boat? - GLEN: In a book written for young people called The Wind in the Willows, one of the characters says: “Believe me, my young friend, there is nothing – absolutely nothing, half so much worth doing as simply messing about in boats. Simply messaging… messing – about – in – boats; messing…” Krista and I will be making a big journey, but more than anything we will be having fun by simply messing about in boats. - KRISTA: I like the freedom of being on the water – the fresh air, sense of adventure, and the exercise. 8. What will you do if it rains hard? - GLEN: There is an expression used by people who spend a lot of time having outdoor adventures. We say that there is no bad weather – just bad choices of clothing. If it rains hard while we are paddling down the River Thames, we put on our raincoats, and keep paddling. 9. Is this adventure dangerous? - GLEN: For the first eight days of our journey, we will be paddling down the part of the River Thames for which water levels are controlled by locks. As long as we are paying attention, there will be very few dangers along this section. The second eight days will involve paddling in waters that are connected to the sea, and so will have to be more aware of tides, winds and other hazards. We will be doing everything that we possibly can to be safe, and so we are very likely to complete our adventure without any accidents. 10. Will this be your longest paddling trip? - GLEN: Possibly. Thirty years ago I paddled a canoe down a wilderness river in Canada called the Bloodvein River with a friend named Rob. That trip took us about the same time as our River Thames adventure will, but I think that our Thames route is slightly longer than the Bloodvein. On that trip, Rob and I accidentally paddled our canoe over a waterfall. I take comfort in knowing that there are no waterfalls on the River Thames. - KRISTA: Yes. I have never before paddled that far. 11. Do you do other sports? - GLEN: I love running, and have been doing it since I was eight years old. I like to hike, walk on showshoes, swim, and play volleyball and tennis, but running is my favourite. - KRISTA: I also enjoy running, cycling, swimming, rock climbing and cross-country skiing. 12. 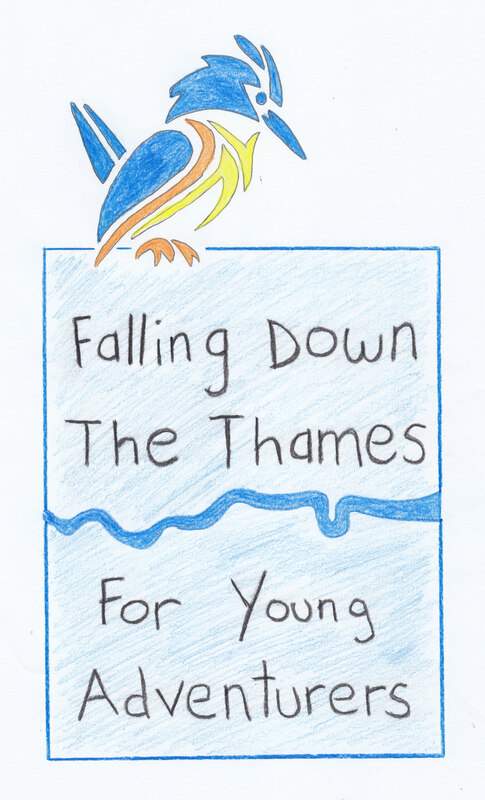 What do your parents think about you paddling down the River Thames? 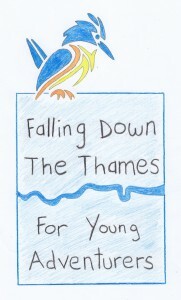 - KRISTA: My parents are very excited about Falling Down the Thames, and love that I follow my interests and my dreams. 13. Why are you making presentations at schools? - GLEN: Krista and I want to share our fun with as many young people as we can. We hope that we can inspire other young adventurers to explore the big wide world. We will be speaking with nearly two thousand students at four schools in England and one school in Canada. We also hope that the website will allow other young people to follow along as we make preparations for the big trip. 14. Have you always enjoyed doing outdoor adventures? - GLEN: Not always. When I was a young fellow, my family didn’t do much of that sort of thing. Outdoor adventures made me nervous. I was in my early twenties before I really started to love the great outdoors. Now I simply can’t get enough of hiking and paddling, and the more exotic the location, the better. - KRISTA: Yes. When I was young, I loved putting on my little backpack, and my dog and I would go outside and have small adventures close to home. We would walk and hike and sit and watch the water flow in streams and watch animals in the forest. As I got older, my adventures have become longer and further from home. But on weekends my dog and I still do short adventures near my home. This sure sounds like one big big adventure. Good luck and many of us will be looking forward to hear about this journey.